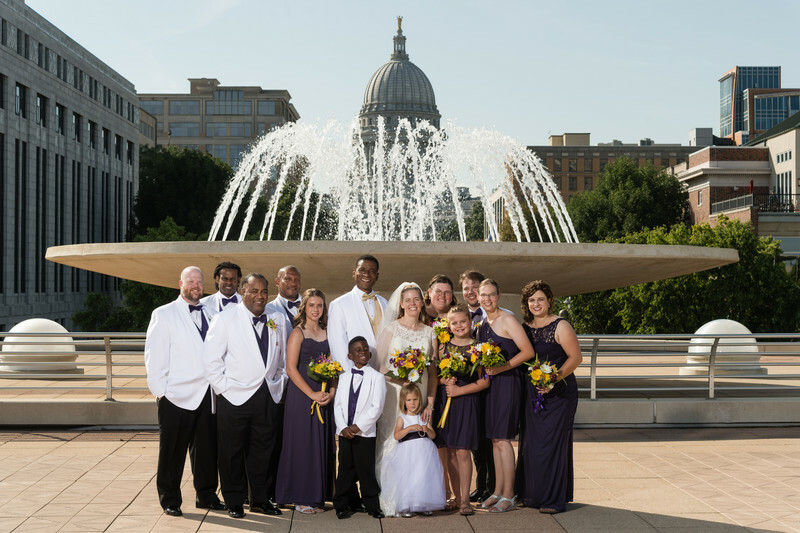 We weren't trying to paint a masterpiece with this simple classic wedding party portrait at Monona Terrace fountain in Madison, Wisconsin. You don't always have to. The bride wanted to feature the location with the capitol in the background, and I made it happen for her.